The European Commission has recently announced that it has granted more research funding to Israel’s military projects than most of the EU states under the European Security Program. Some of the notorious Israeli firms who are actively participating in the ethnic cleansing and war crimes in the occupied Palestine have been granted billions of Euros as part of joint ‘security research’ projects. Please write to EU commissioners to express your outrage regarding EU’s involvement in Israeli war crimes by squandering significant amounts of its taxpayer’s money. European Security Research Programme (ESRP) was founded in 1984 to boost European security and engender the growth of a globally competitive security industry in Europe. It has a €1.4bn EU budget per year, however their latest project, FP7, has a seven-year budget of €53 billion. 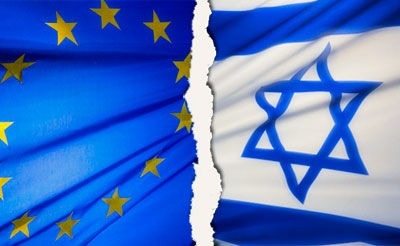 EU considers Israel to be virtually a ‘member state’ as stated last September by Javier Solana, the EU’s foreign policy. Thus, Israel has been included in the ‘European research area’ and some of the notorious Israeli ‘security’ firms have been awarded and subsidized with billion euro contracts. Some of these companies are Israel Aerospace Industries, a state-owned manufacturer of drones that carry out flagitious assassination of Palestinian activists, Motorola, producer of ‘virtual fences’ around Israeli settlements, and Elbit Systems, responsible for building the parts of the wall around al-Quds . According to EU statistics Israel is listed at the top amongst the non-EU countries that has received funding from EU in per capita. In fact the amount of funding even exceeds some of the EU countries in the program. By supporting Israel’s ‘security’ apparatus, the EU becomes complicit with ongoing war crimes and ethnic cleansing of the Palestinians that has recently been adduced by the Goldstone report. The EU should immediately halt all co-operation with Israel especially in the field of ‘security’ and grants that has been awarded to Israel. It should rather focus on development and poverty that is rampant in its borders. Please write to express your outrage to Catherine Ashton Vice-President of High Representative of the Union for Foreign Affairs and Security Policy and copy it to José Manuel Barroso the President of the European Union regarding the EU’s involvement in Israeli war crimes. Sample letter to Baroness Catherine Ashton Vice-President, High Representative of the Union for Foreign Affairs and Security Policy. You may write to Baroness Catherine Ashton via her email address catherine.ashten@ec.europa.eu, and you may CC that to her spokesperson lutz.guellner@ec.europa.eu. I am utterly shocked and outraged over the Commission’s recent announcement that it has granted billions of Euros to Israeli firms and companies, under the European Security Program. Funds have been awarded to some of the notorious Israeli firms that are actively contributing to the ethnic cleansing and war crimes in occupied Palestine. Some of these companies are Israel Aerospace Industries, a state-owned manufacturer of drones that carry out flagitious assassination of Palestinian activists, Motorola, producer of ‘virtual fences’ around Israeli settlements, and Elbit Systems, responsible for building the parts of the wall around Jerusalem. According to EU statistics Israel is listed at the top amongst the non-EU countries that have received funding from EU in per capita. In fact the amount of funding even exceeds some of the EU countries in the program. By supporting Israel’s ‘security’ apparatus, the EU becomes complicit with ongoing atrocities and the war crimes that has recently been adduced by the Goldstone report. The EU should immediately halt supporting war criminals and co-operating with Israel, especially in the field of ‘security’. It should rather focus on development and poverty that is rampant in its borders. I look forward to your reply regarding this urgent matter. The European Commission has recently announced that it has granted more research funding to Israel’s military projects than most of the EU states under the European Security Program. Some of the notorious Israeli firms who are actively participating in the ethnic cleansing and war crimes in the occupied Palestine have been granted billion of Euros as part of joint ‘security research’ projects. EU considers Israel as a ‘member state’ as last September, Javier Solana, the EU’s foreign policy chief stated in Jerusalem. Thus, Israel has been included in the ‘European research area’ and some of the notorious Israeli ‘security’ firms have been awarded and subsidized with billion euro contracts. Some of these companies are Israel Aerospace Industries, a state-owned manufacturer of drones that carry out flagitious assassination of Palestinian activists, Motorola, producer of ‘virtual fences’ around Israeli settlements, and Elbit Systems, responsible for building the parts of the wall around al-Quds . According to EU statistics Israel is listed at the top amongst the no non-EU country that has received funding from EU in per capita. In fact the amount of funding even exceeds some of the EU countries for the program. By supporting Israel’s ‘security’ apparatus, the EU becomes complicit with ongoing ethnic cleansing of the Palestinians and the war crimes that has recently been adduced by the Goldstone report. The EU should immediately halt all co-operation with Israel especially in the field of ‘security’ and grants that has been awarded to Israel. It should rather focus on development and poverty that is rampant in its borders. Some of these companies are Israel Aerospace Industries, a state-owned manufacturer of drones that carry out flagitious assassination of Palestinian activists, Motorola, producer of ‘virtual fences’ around Israeli settlements, and Elbit Systems, responsible for building the parts of the wall around Jerusalem. According to EU statistics Israel is listed at the top amongst the no non-EU countries that have received funding from EU in per capita. In fact the amount of funding even exceeds some of the EU countries in the program.